Rubber Roller Red & Black 200mm/8"
Essdee Rubber Roller Red & Black 200mm/8"
Our best selling rollers are used by education authroities worldwide and are available in a variety of sizes. Manufactured from durable polypropolene with self-lubricating nylon bearings, robust construction, EPDM rubber, hanging slot, aluminium core and continuous steel shaft. These versatile rollers can be used for a variety of purposes other than lino printing. Simply turn over the wet roller and the handle doubles as a stand for cleaner working. 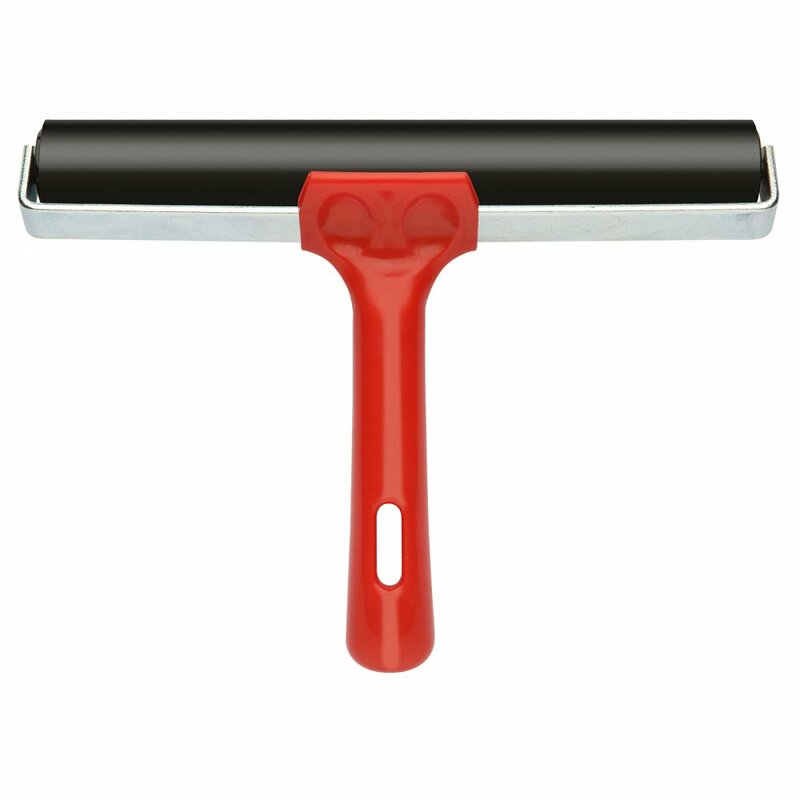 Black and red rubber roller, suitable for lino printing.